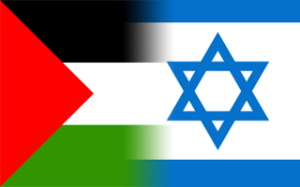 Although the Syrian Crisis has become the most important topic of discussion in the media recently, the problem of the Palestinian Arab people, of course, has not gone from the political scene. In the context of Israeli-Palestinian negotiations, we will touch upon the attitude not only of the settlers, but also of Israeli society in general, which for the most part is represented by the political parties in the Knesset. The negotiations between Israel and the Palestinian National Authority, which were started under U.S. pressure, have caused a split in Israeli society. The Prime Minister Benjamin Netanyahu has been criticized both in the Knesset and in the Government that he heads. As it is known, the Americans insisted on a freeze in construction in Jewish settlements in the occupied territories of the West Bank of the Jordan River and East Jerusalem, as a condition for the beginning of the negotiations. In this case, according to Washington, the contacts of both parties will gain a clearer perspective. The Israeli government has not given such a promise, but behind the scenes, it was assumed that it would take into account this persistent desire of the American side. However, even the possibility of such actions was subject to sharp criticism from the religious Zionist party, the “Jewish Home” headed by Naftali Bennett. This party actually represents the views of Israeli settlers, and is one of the most important members of the ruling coalition headed by Benjamin Netanyahu. Its deputies in the Knesset are opposed to any “concessions”, as they call them, to the Palestinians. Opponents of even minimal flexibility in the negotiations, not to mention the opponents of the idea of a Palestinian state, are many (if not the majority) in the Likud, the party of the Prime Minister. After the liberation of a hundred Palestinian prisoners, who were in Israeli jails, which was done under the U.S. pressure, the Israeli Prime Minister was subjected to seemingly harsh criticism. Meanwhile, Israeli left-wing opposition also strongly opposed Benjamin Netanyahu in connection with the reports, emerging in the Israeli media, of secret agreements between him and the leaders of the “Jewish Home” Party. In his turn, Mahmoud Abbas (Abu Mazen), the leader of the Palestinian Authority, could present Israel’s decision as a victory for the Arab side, thus justifying the return of Palestinians to the negotiation table. However, it is important to emphasize that despite the beginning of the Israeli-Palestinian negotiations, and the adoption of an extremely unpopular decision to release terrorists, the ruling coalition in the country remains unshakeable. This fact raises suspicions in the Israeli left-wing opposition, actively supporting the resumption of the negotiations with the Palestinians, that the new round of negotiations will achieving nothing, just like the previous ones. It is possible that the negotiations themselves are a kind of the cover for both Tel Aviv and Ramallah, in order to maintain their influence on both sides, and at the very least to maintain the status quo. This way the Israeli Prime Minister mutes the criticism of the EU, and Mahmoud Abbas strengthens his position in the camp, at least among the moderate Palestinians. Despite accusations in the media, a member of the “Jewish Home”, the Minister of Housing Uri Ariel, who has been one of the recognized leaders of the settler movement for many years, has reached a secret agreement with Benjamin Netanyahu. In return for a restrained reaction of the “Jewish Home” to the government’s decision on the liberation of Palestinian prisoners, the Prime Minister will give permission for the construction of thousands of housing units in Jewish settlements in the West Bank. There is no doubt that these reports are a result of an intentional leakage of information, being intended to discredit Benjamin Netanyahu in the eyes of the Americans, under whose aegis the negotiations are being held, and thus an attempt to derail and agreements made between the Prime Minister and the leaders of the settlers. It can be assumed that the leakage was initiated by supporters of the Israeli left-wing opposition. According to the published information, this involves about 1,000 housing units, the construction of which will be permitted within the shortest possible time, and an additional 3,500–4,500 housing units, the construction permits for which will be given in the coming months. All this once again demonstrates the fact that these Israeli-Palestinian negotiations are nothing more than a cover, being used for deceiving public opinion around the world – and their outcome is predetermined. Alexander Efimov, exclusively for the online magazine “New Eastern Outlook”.